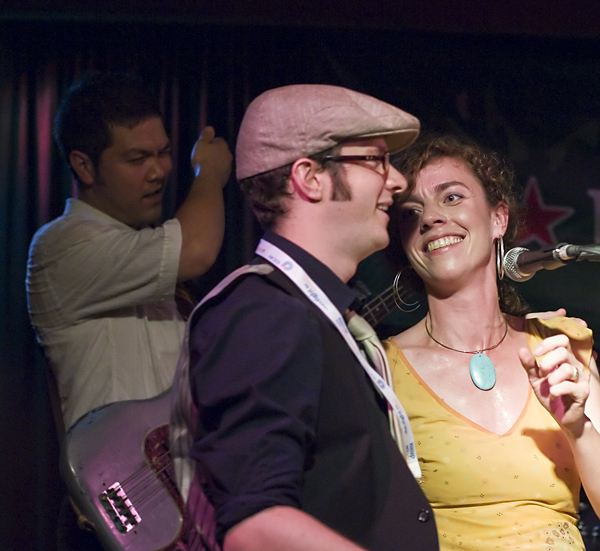 Wreckhouse Jazz & Blues is seeking a dynamic and skilled individual to fill the role of Marketing & Operations Manager as the organization moves into its 10th year in 2011! This position is a leadership role that requires a motivated, independent, and out-going individual with the flexibility to work evenings and weekends, as well as the ability to work under pressure. See the full job description below for more details. Wreckhouse Jazz & Blues (WJB) is seeking a full‐time, permanent employee to fill the role of Marketing & Operations Manager in St. John’s Newfoundland. Reporting to the Executive Director, the Marketing & Operations Manager will be responsible for the administration of Wreckhouse Jazz & Blues, including marketing, public relations, government/agency relations, contract negotiations, and volunteer management. Develop and implement WJB Membership Program. An equivalent combination of training and experience would be considered. The 2010 Wreckhouse International Jazz & Blues Festival would not be possible without the support of our corporate and media sponsors. 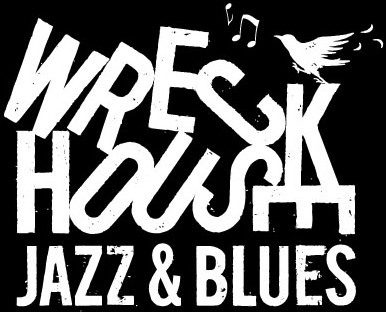 To show our appreciation for their support, Wreckhouse Jazz & Blues will be showcasing a different sponsor each week. This week, we are actually featuring two of our longest-serving sponsors, Heineken and Lamb’s. 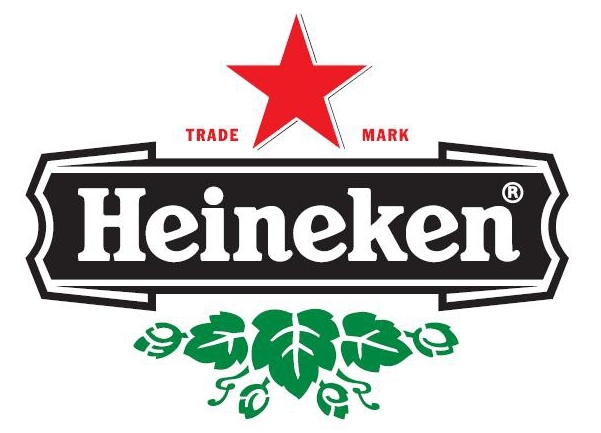 Heineken is a featured brand of Molson Coors Canada. Molson Coors Canada’s vision is very simple, to be a top performing global brewer, while staying true to its values, heritage and identity. 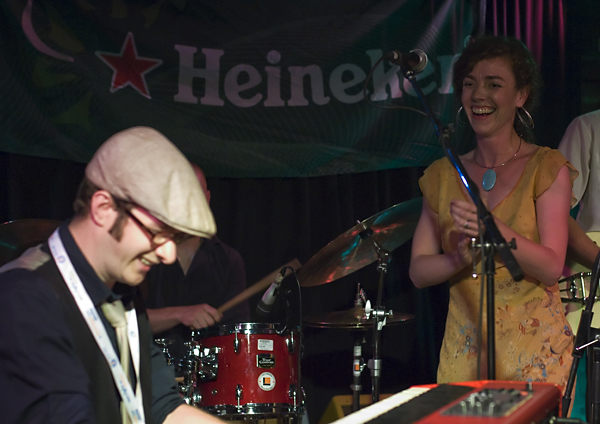 Molson has been a corporate sponsor of Wreckhouse Jazz & Blues for many years. This represents not only a strong sense of commitment to the community but also Molson’s commitment to making a difference in the communities where Molson’s roots are deepest. They believe it is important to support the arts community and take pride in a continued commitment to the 2010 Wreckhouse Jazz & Blues Festival. Lamb’s Rum is a featured brand of Corby Distilleries Limited, a leading Canadian manufacturer and marketer of spirits and imported wines. Corby’s portfolio of owned-brands includes some of the most renowned brands in Canada, including Wiser’s Canadian whiskies, Polar Ice vodka and McGuinness liqueurs. Through its affiliation with Pernod Ricard S.A., Corby also represents leading international brands such as ABSOLUT vodka, Chivas Regal, The Glenlivet and Ballantine’s scotches, Jameson Irish whiskey, Beefeater gin, Malibu rum, Kahlúa liqueur, Mumm champagne, and Jacob’s Creek and Wyndham Estate wines. The variety of products offered by Corby is rivaled only by the variety found in the Wreckhouse International Jazz & Blues Festival lineup! 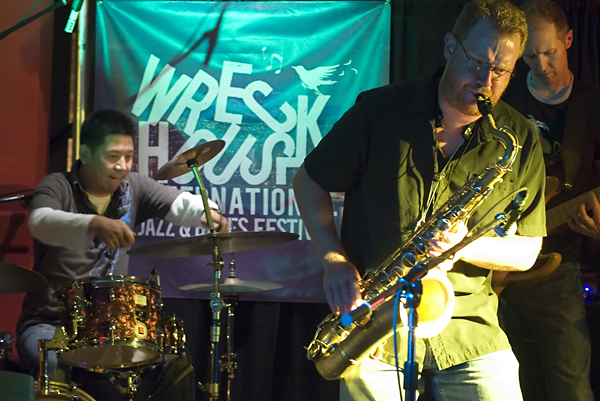 Wreckhouse Jazz & Blues is proud to offer Molson and Corby products exclusively at our licensed venues during the Festival. However, the contributions of both Molson Coors and Corby Distilleries are not confined to the Wreckhouse International Jazz & Blues Festival. Both partners provide support for many of WJB’s year-round activities, helping us showcase young players in the jazz & blues community and providing support for our volunteer appreciation initiatives. A sincere thank you goes out to both Molson Coors Canada and Corby Distilleries Limited! On August 19th, Wreckhouse Jazz & Blues once again showed its appreciation for the phenomenal core of volunteers at the second of this years’ Volunteer Appreciation Party! The volunteer party featured many treats; for example pizza donated from Boston Pizza, beverages from Molson Canada and Corby Distilleries, and a very special performance from WJB staff members. Staffers Dave Goudie, Simon Miminis and Adam Reid assembled with little rehearsal to put on a pleasant set of jazz standards. Every volunteer present at the volunteer appreciation party received a certificate commemorating their involvement at this year’s Wreckhouse International Jazz & Blues Festival. If you volunteered at the festival as well, there is a certificate waiting for you at the WJB offices at 90 O’Leary Avenue. Come down and accept your certificate sometime from 9:00 to 5:00, Monday to Friday. The support offered freely by all volunteers is invaluable, and we thank each and every volunteer for their help. Sometimes, individual volunteers make an extraordinary impact that merits further recognition. As such, WJB would like to publish the names of several volunteers who have earned special awards, given out during the Volunteer Appreciation Party. Congratulations to all WIJBF volunteers on a job well done, and especially to 2010 volunteer award winners! 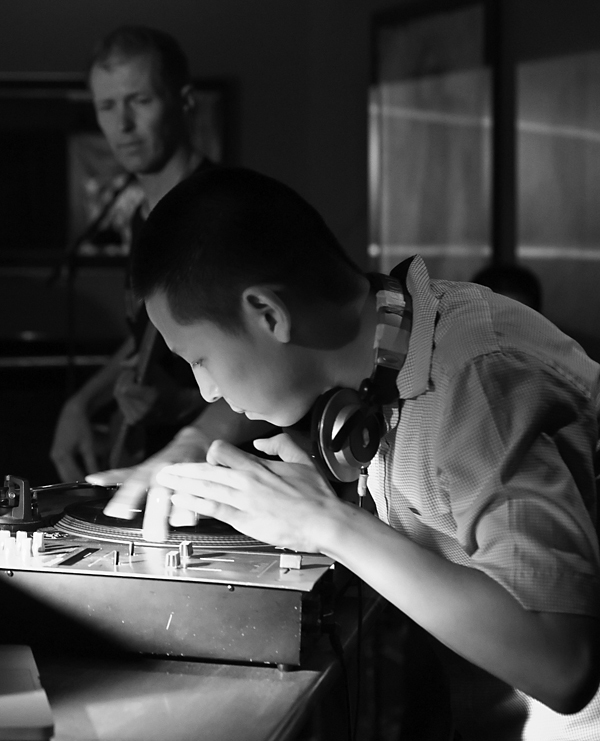 Traditionally promoting your music has involved frequent gigging and postering, and although this still plays a huge role in promoting your music there are many other ways to get yourself out there. As people spend more and more time on-line, the Internet is becoming more and more important in music promotion. Before you embark on promoting your Music online it is important that you have an EPK (Electronic Press Kit). If you do not have an EPK you should read our artice “A Guide to EPK’s and Artist Promotion” . Having an EPK ready is important as it is effectively your musical resume which will give people information about who you are and what you do. One of the main benefits of social networks are that they help your audience feel more connected and close to you, giving them a stake and therefore a real interest in what you do. But what is social media below is a video that explains social media in plain English. Each social network and platform has its own distinct benefits and disadvantages and not all will be useful or necessary in promoting yourself. We shall begin by looking some of the major mediums and provide information on what they are and how to use them. Although Myspace is no longer the most popular social networking site it is still immensely popular with musicians. This is due to the ease of page customization, the ability to add music, videos and the established network of music industry professional that use the site. Below is a video that gives a brief description of social networks and how to use Myspace. Twitter is a micro blogging site where you can post text and links no longer than 140 characters. You are also able to post pictures (through links) through services such as twitpic. Newsletters are a great way to keep your fans up to date with the latest information and news about you and your music. Although newsletters are not strictly classed as social media they do work incredibly well with many of the social media mentioned before. Newsletters can be sent to the email in boxes of subscribers as often as you require and provide a very targeted for of advertising. Newsletter can channel people to your other forms of social media and promote your up coming events. In future weeks we will cover in more detail these sites and give advice on which will meet your needs. The Music Industry Association of Newfoundland and Labrador (MusicNL) Announce the 2010 MusicNL Conference. 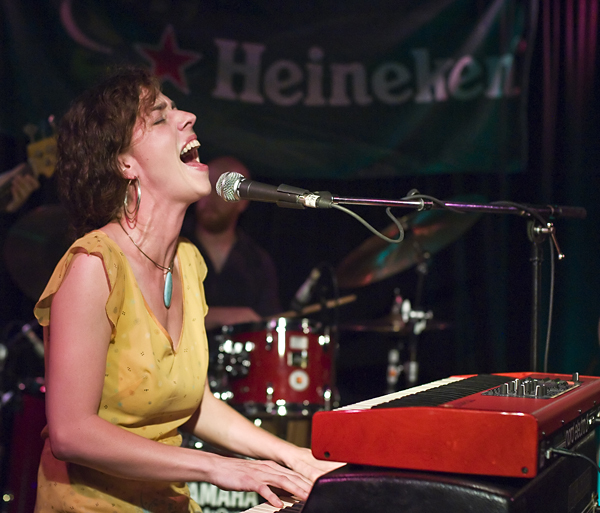 MusicNL is bringing the event to Rocky Harbour – Gros Morne National Park October 22-24, 2010. Registration for the event will take place at the Ocean View Hotel starting 3:00 PM, Friday October 22. Seminars and Workshops take place at The Fisherman’s Landing Inn both October 22 & 23. Showcases will be held at the The Fisherman’s Landing Inn October 22 & 23. The Industry Brunch is Saturday October 23 at The Fisherman’s Landing. The Awards Gala is Sunday October 24 at Gros Morne Academy hosted by Mike and Louis MacDonald. 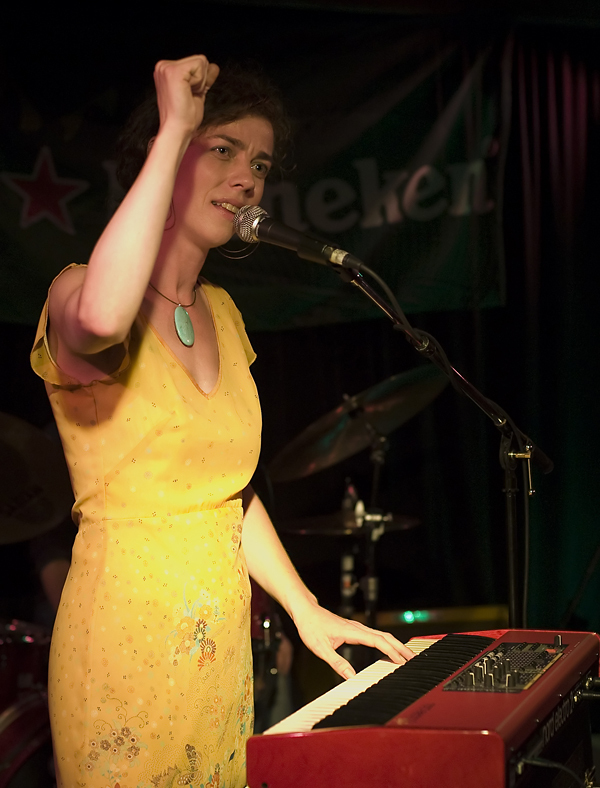 Treasa Levasseur played an energetic and fun performace at the Fat Cat Blues Bar during the 2010 Wreckhouse International Jazz & Blues Festival. The set even included a guest appearance by by Chris Kirby. 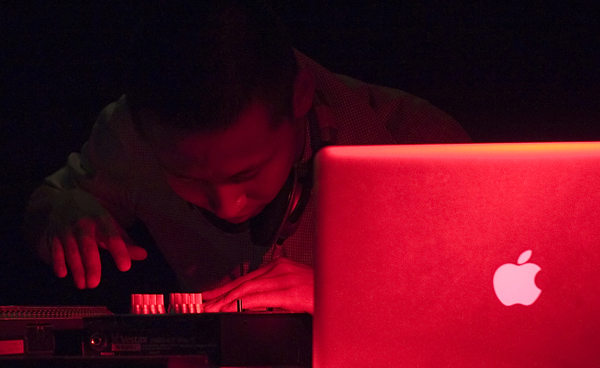 Here are a selection of photographs from the night.